Many frugal people have cabinets full of butter tubs, ice cream buckets, and sour cream containers. Why buy a container when your food comes in containers that you can reuse? 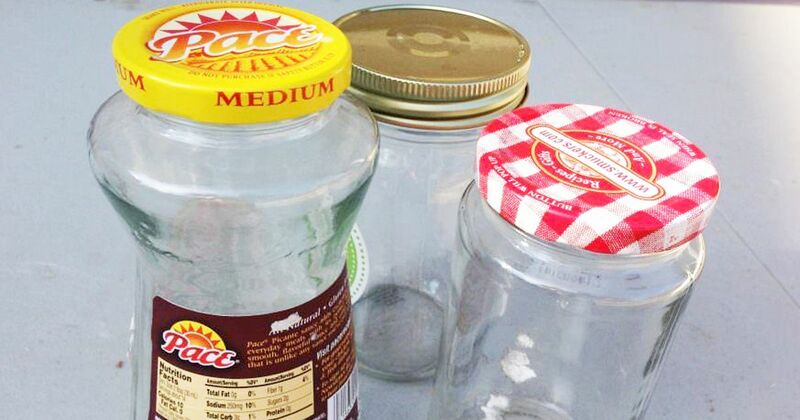 Take that idea up a notch with these amazing food container hacks. Going outside of just storing food, these simple ideas solve your problems with items you usually just throw away. Check them out to save yourself time and money! 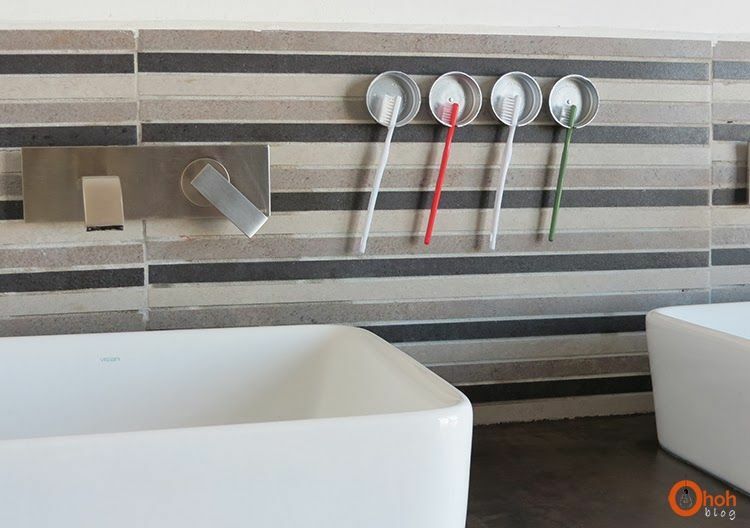 Armed with a utility knife, handful of plastic bottle lids, spray paint, and Velcro, Ama with Oh Oh Blog creates stylish toothbrush holders for the bathroom. Unlike toothbrush holders that clip over the head of your toothbrushes for storage in a cabinet or drawer, these holders keep your toothbrush within easy reach — and allow for the bristles to dry quickly. See how she did it in this step-by-step tutorial. Small plastic applesauce containers feature a foil lid. You throw away the foil, but then are left with a sturdy plastic container. What can you do with it? In this creative container hack, you can create a conveniently sized snack container by outfitting an apple sauce container with a Pringles lid. 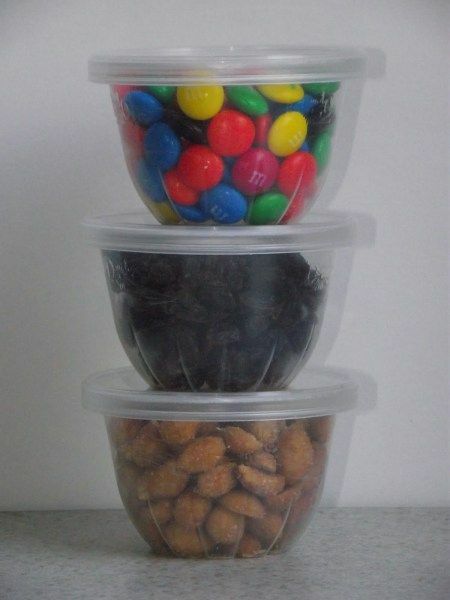 This perfect snack storage solution can be tossed in your purse, taken in the car, or stored in the pantry for single-serving snacks. The best thing? It's free. Families with small children often consumer several jugs of milk every week. Think of all those milk jugs you can upcycle into useful items. Sylvia from Not Just Trash showcases how she creates a beautiful herb garden using milk jugs, a permanent marker and a utility knife. These containers are unexpected and a great use of resources. This inspirational picture shows the secret inside of these footstools -- plastic bottles. 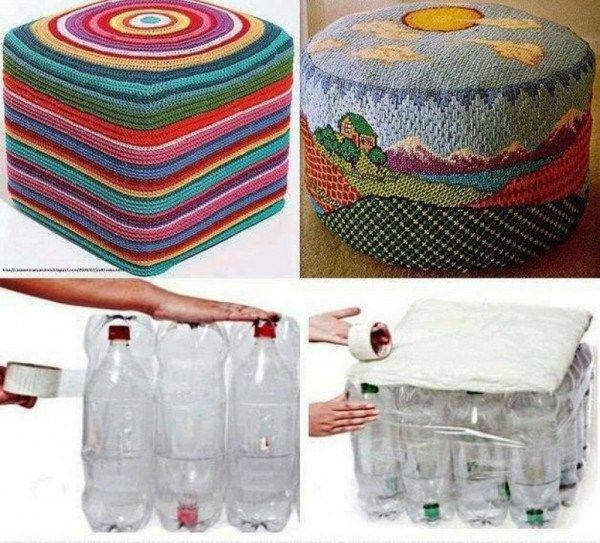 Recycled Crafts says the picture shows you all you need to know to make your own plastic bottle footstool. Start with clean plastic bottles and arrange them one up and one down for the tightest structure. Use tape to hold them together. Add padding and then cover with fabric. Easy, simple, and inexpensive. This DIY princess crown gets a solid foundation from a plastic container. 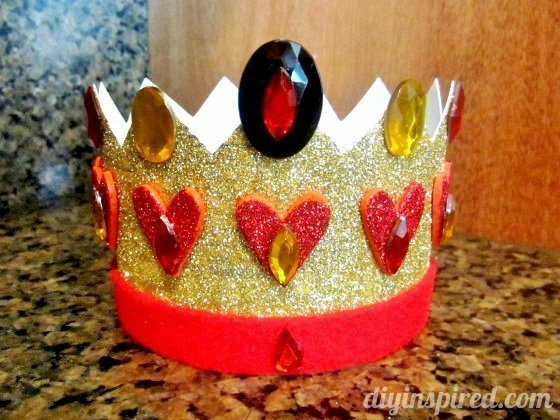 DIY Inspired simply cut her crown shape and then used various craft supplies to create a crown fit for a queen. Glitter, ribbon, and rhinestones transform the container from a piece of trash into a piece of art. A good spray of clear sealer will keep the glitter from falling off. 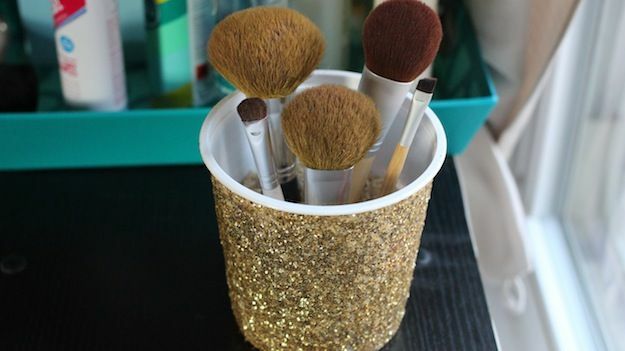 Store all your makeup brushes in style with this glittered makeup brush holder. Crafted from a cottage cheese container, it is wide enough to allow brushes room to breathe. Kelsey at Modern Martha used Mod Podge to apply the glitter, but she says regular school glue should also work well. See how she made hers here. The plastic lids that come on a variety of containers are easy to hang onto. They take up very little space and come in a variety of sizes. 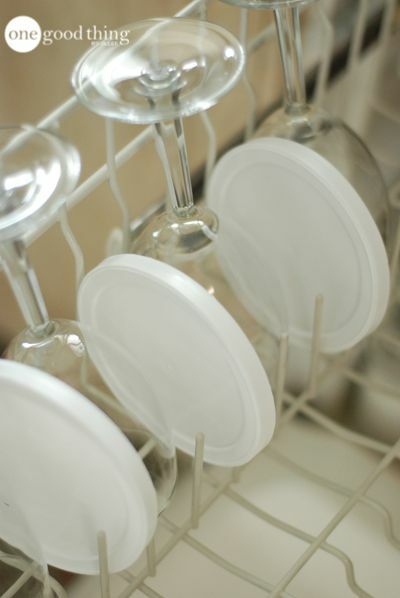 Use them in between your glassware to protect it from cracks and breaks in the dishwasher. One Good Thing by Jillee shows you this container upcycle and other clever hacks in this awesome post. Toddlers love their snacks. Transform this sturdy cans into easy storage with this tutorial by My Own Road. She uses the containers to store hair bows, binkies, and toothbrushes, but the options are endless. 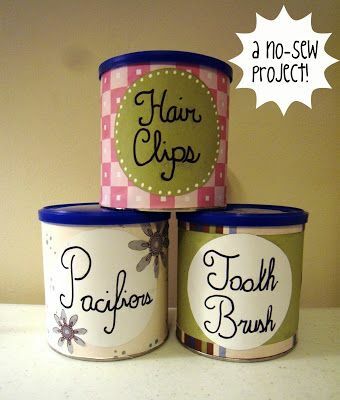 This simple, no-sew project uses Mod Podge and scrap book paper to recover the can. You could even use fabric scraps or your child's drawings for a creative touch. 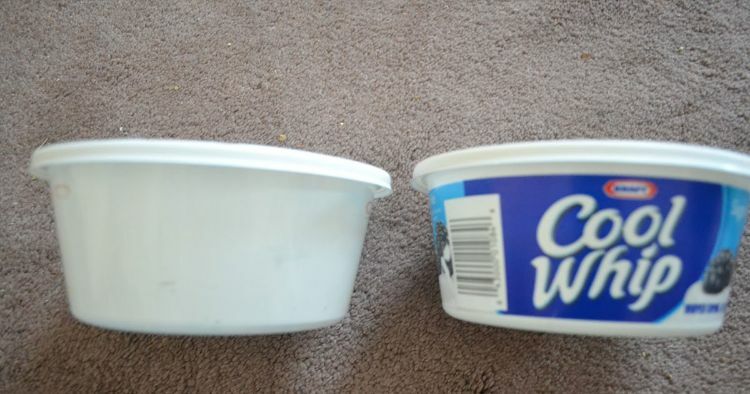 You may think twice about saving a food container when you think about how it is obviously a Cool Whip or yogurt container because of the printing on it. Don't throw it away just yet! It is extremely easy to remove print from a plastic container. The Tip Garden says all you need is acetone fingernail polish remover and an old cloth you are ready to throw away. The print will wipe right off. Laundry soap pods come in fairly good sized containers. If you have a large family, you go through a lot of laundry soap. 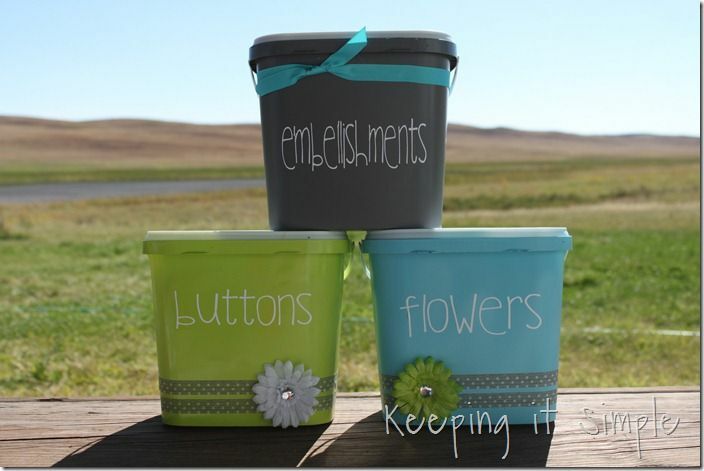 Keeping it Simple Crafts has an excellent way to reuse these handy containers. She uses spray paint to give them a fresh look, then decorates them and fills them with craft supplies. They look so sharp, you'd never know they were saved from the trash. Jenny with Refresh Living loves to re-purpose items. 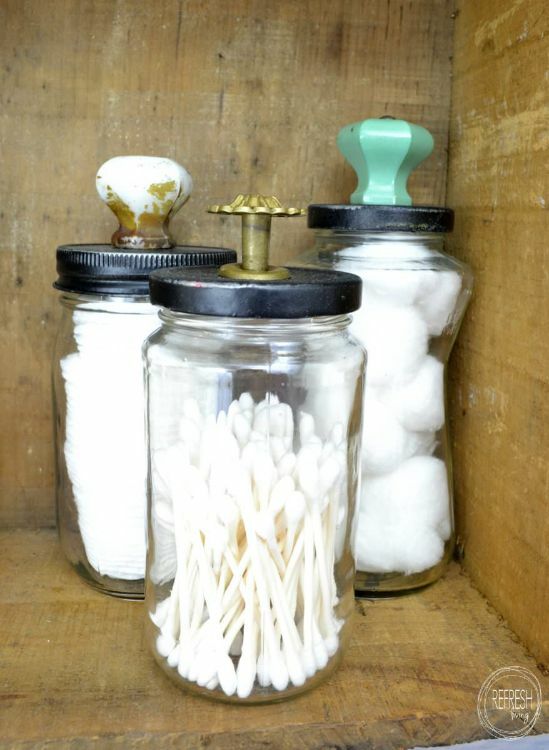 She recently saved some glass jars from the recycling bin to create this creative storage solution. A coat of spray paint for the lid and the addition of a drawer pull transforms these jars into unrecognizable pieces. Her step-by-step tutorial features her easy way to remove labels — washing soda. These 11 projects will have you thinking twice before throwing away a food container. What other ways can you think of to reuse and recycle? Share these ideas with your friends and family on Facebook!